This is a universal EA with positive(for traders) slippage. With the help of settings you can create your own strategy. It can be trend, counter-trend, averaged, grid, martingale :), antimartingale. Martingale sooner or later loses. But you can treat trading as fun as a game. 1 use case. Suppose you have 50 dollars. Do you want to try your luck? You may to make small deposit and use my trading advisor. After 15 trading days, check the result. Of course, you need a virtual server for trading. Universal with positive slippage virtual levels (positive for traders). The system does not use regular takeprofits and stop loss. Stop work Thursday? true Stop work Thursday? Stop work Friday? true Stop work EA in Friday? A good broker, with low spreads and stop levels. 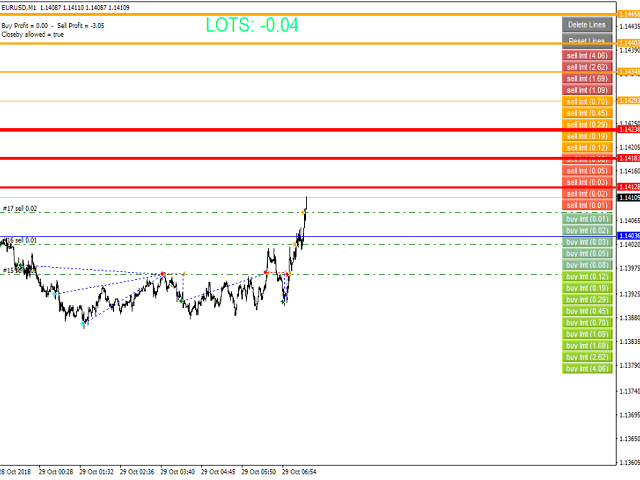 For use on EURUSD M1 chart. Works great on ECN or low-spread account (no more than 2 pips). For Standard Forex accounts - 100 USD with the minimum lot of 0.01. For Mini Forex accounts - 1,000 cent with the minimum lot of 0.01. It uses unique indicators, martingale, grid. 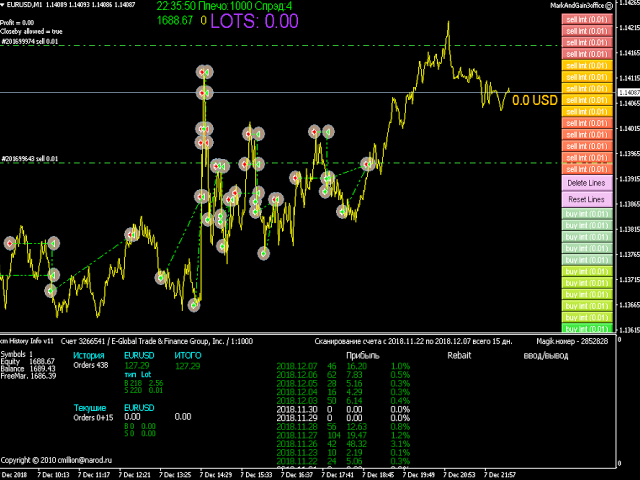 MarkAndGain ll can be tested on M1 EURUSD at all ticks in visual mode. This is written to assist in automating a current strategy, I am NOT liable for any funds lost during use. Trading is a risky endeavour, ensure you backtest your strategy thoroughly or use a demo account before switching to real funds!